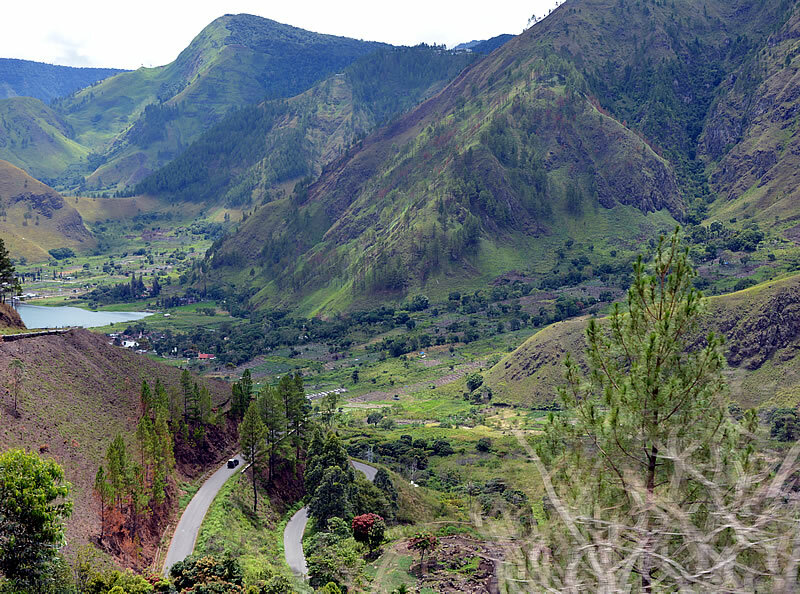 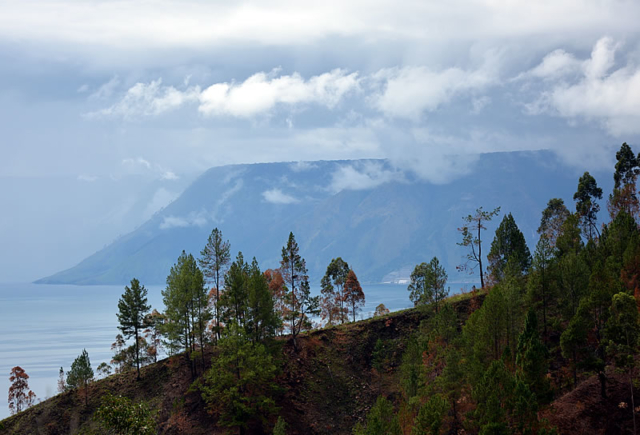 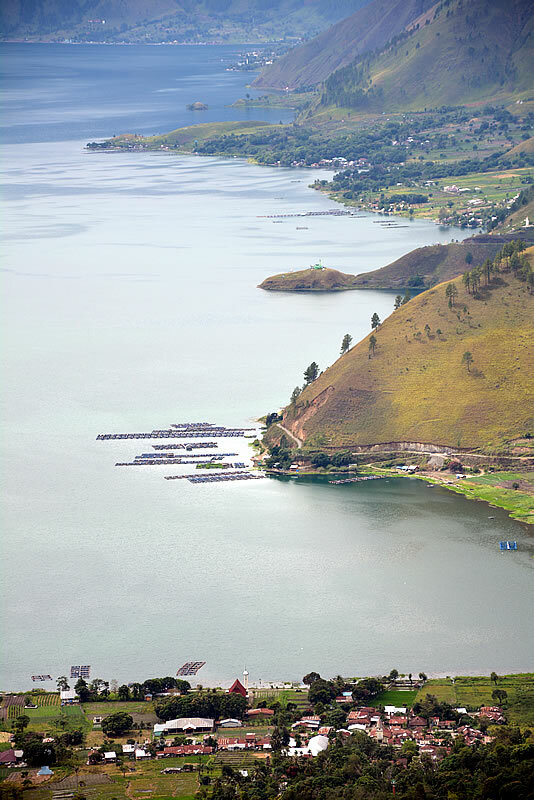 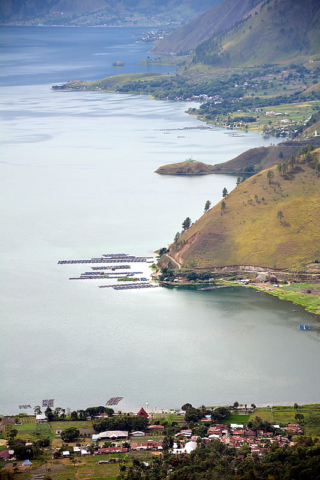 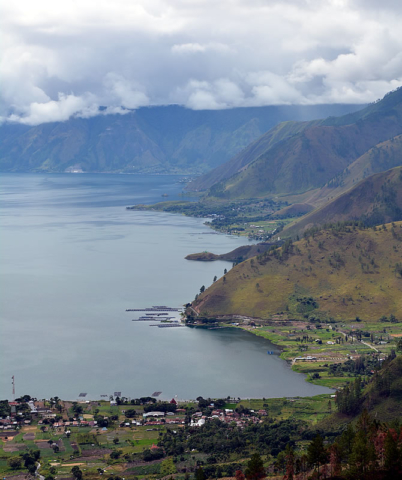 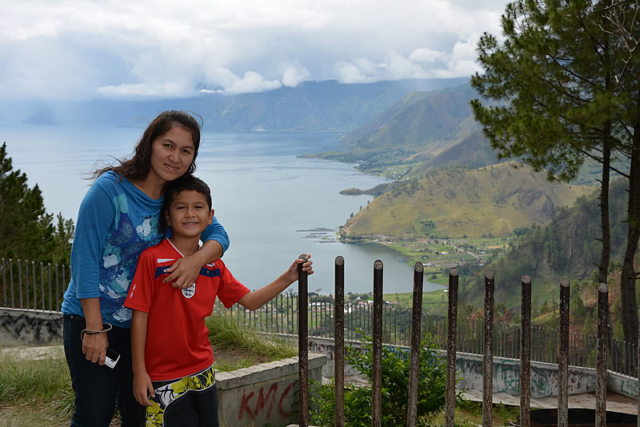 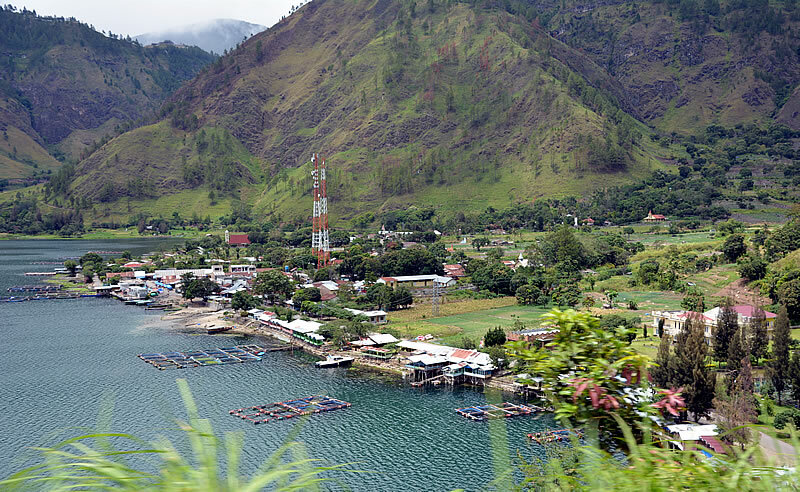 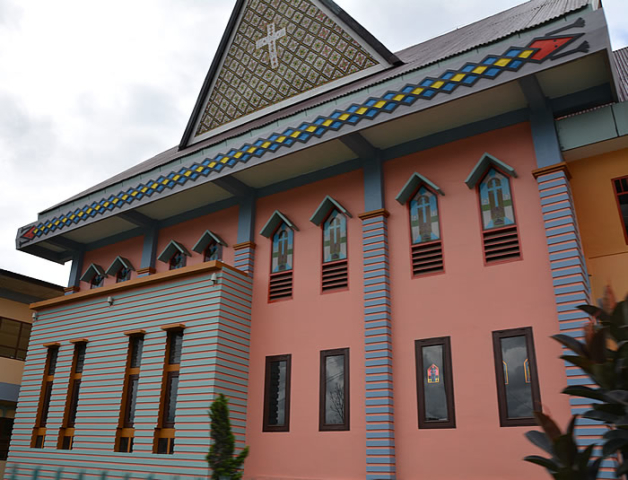 Since we only had a day remaining the only way to get to Lake Toba was to be a day trip from Berastagi. I’d always wanted to go there so couldn’t miss out being this close. 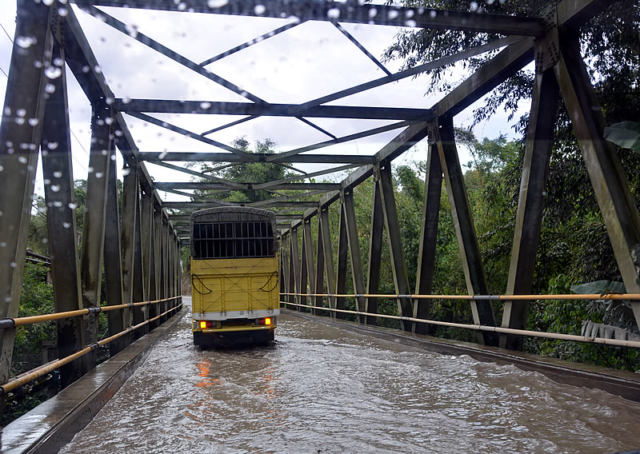 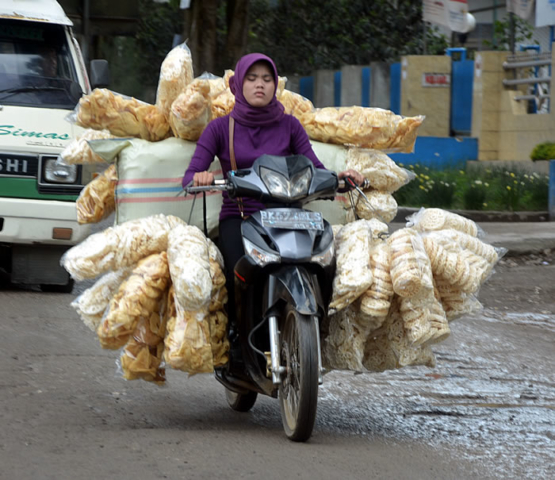 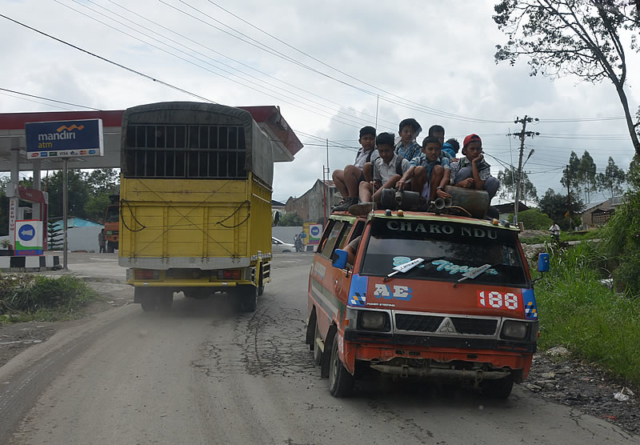 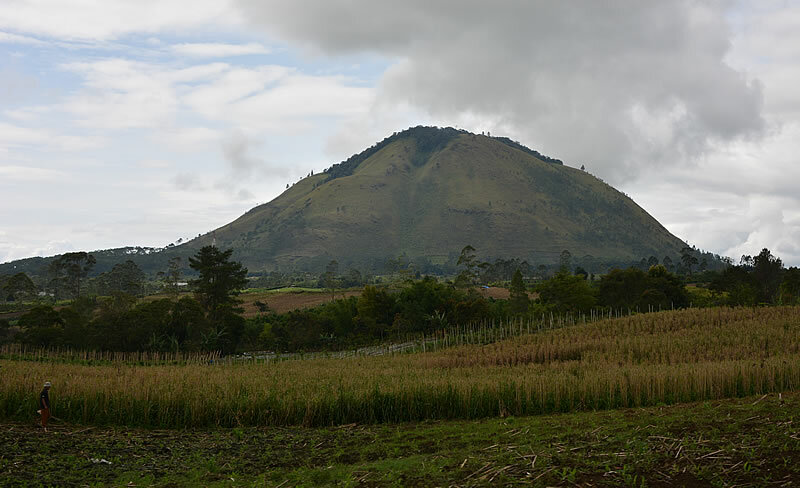 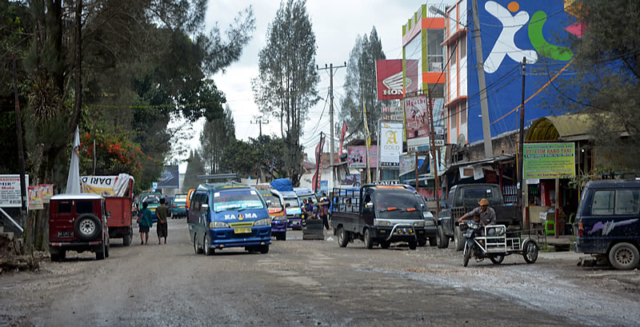 Our driver took us through rustic villages and fertile fields but one disturbing observation was that rubbish is a major problem in Indonesia. 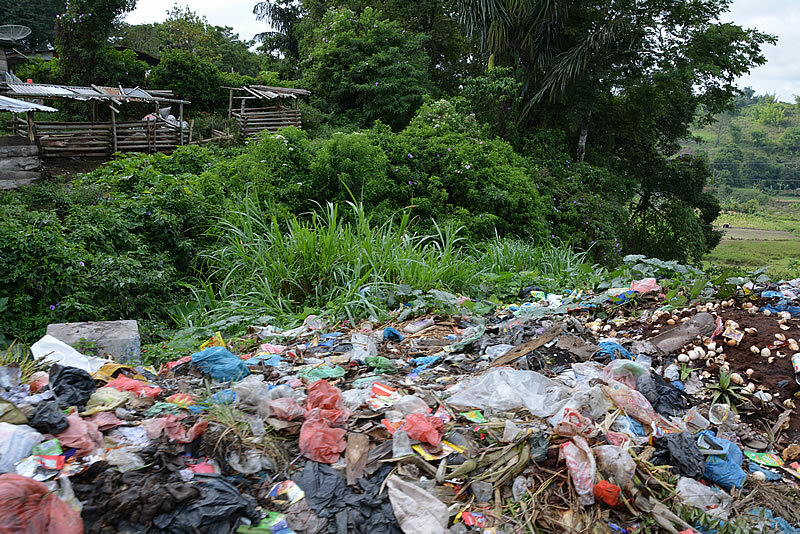 There are no collection services and they do not seem to burn it as in Thailand so piles of plastic trash just accumulate alongside the roads and in front of people’s homes. It was disheartening to see people mindlessly throwing plastic containers onto the roadside or into the ocean; I guess environmental awareness needs to start at school and here it obviously doesn’t. 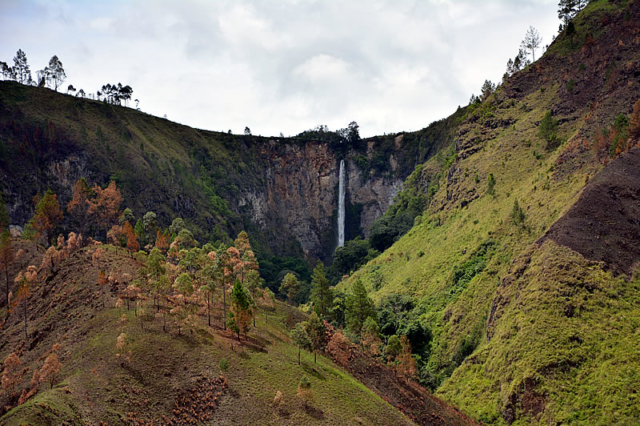 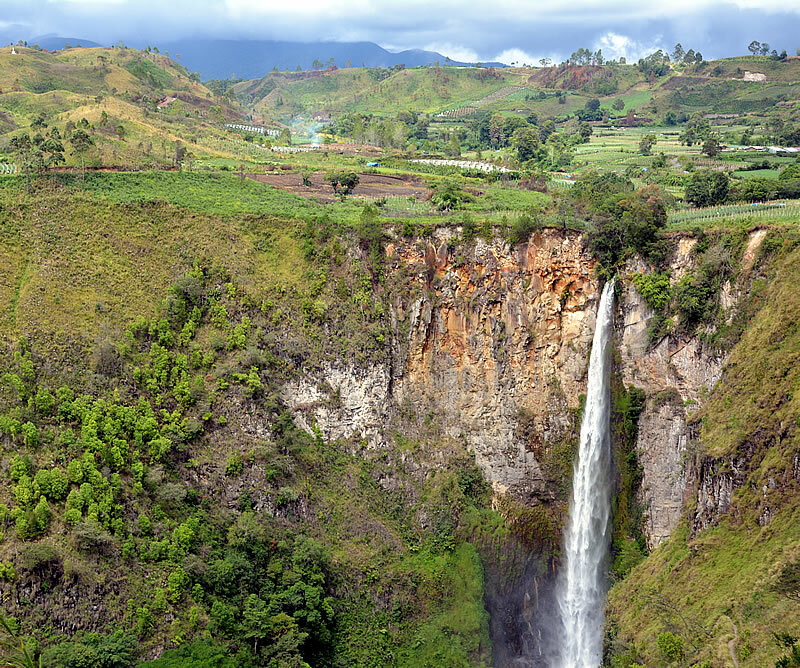 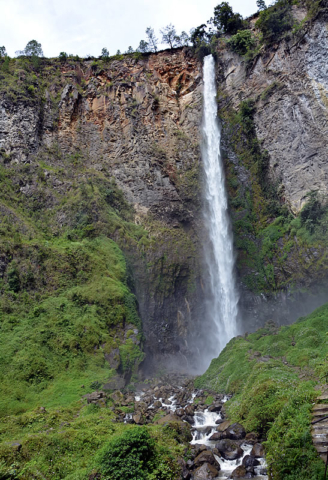 We arrived at Sipisopiso waterfall, Indonesia’s highest at 110 meters, located in the Karo highlands it feeds into a gorge that leads to the north of Lake Toba. The cascade itself is quite spectacular, the climb down to the bottom and back up the steep valley not so! 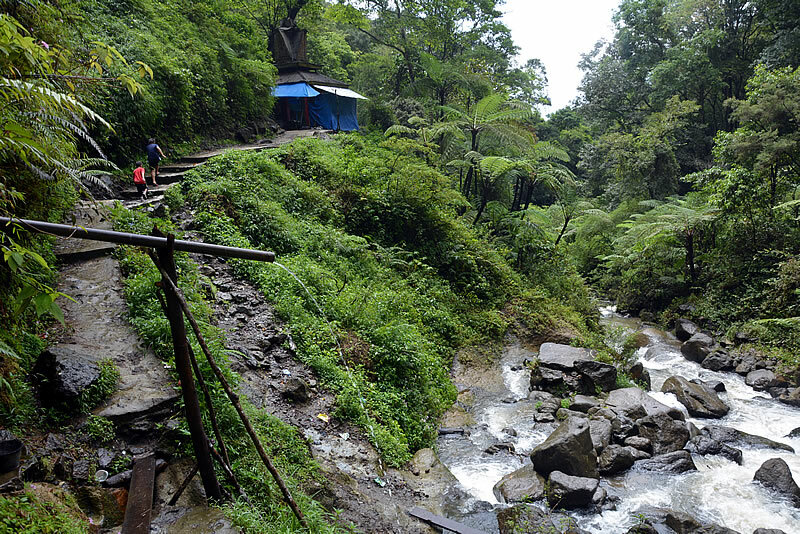 A few kilometers down into the valley was the lake itself. 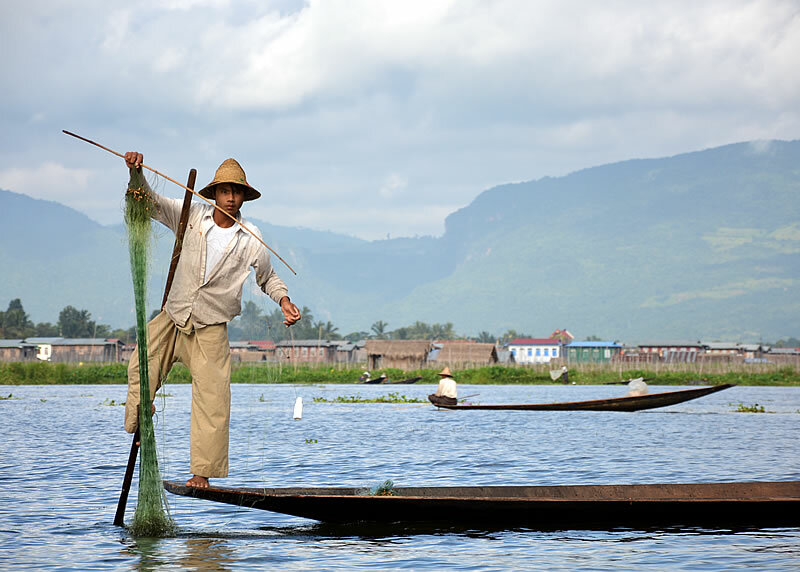 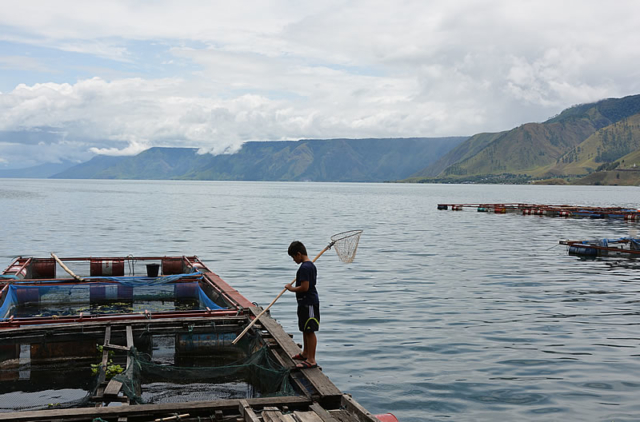 At 500 meters deep and over 100km long it is Southeast Asia’s largest lake, formed 70,000 years ago from the eruption of a super volcano which caused a drop in global temperatures by 5 degrees celsius. 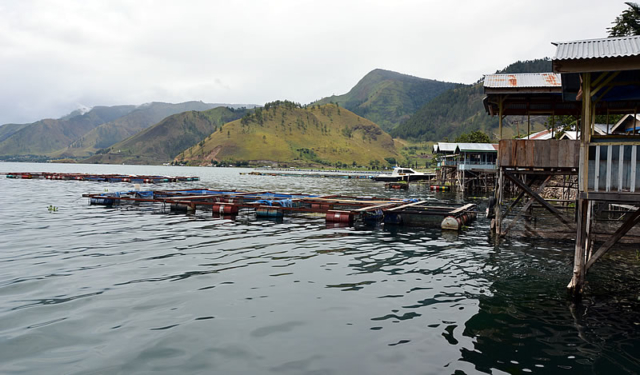 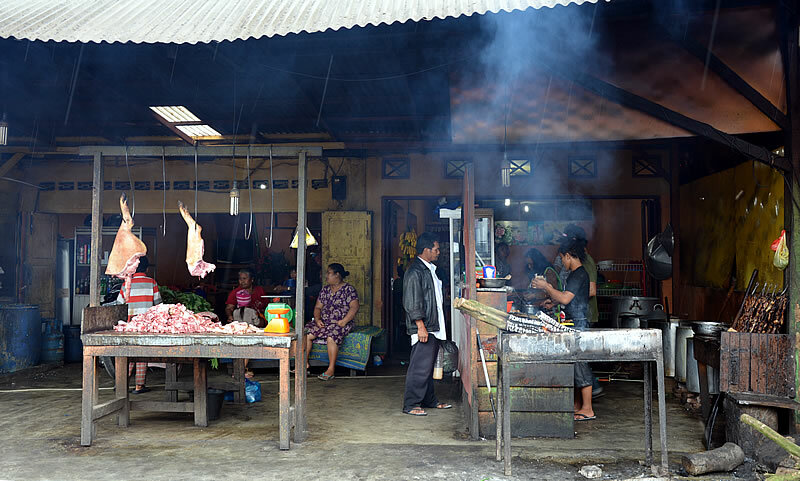 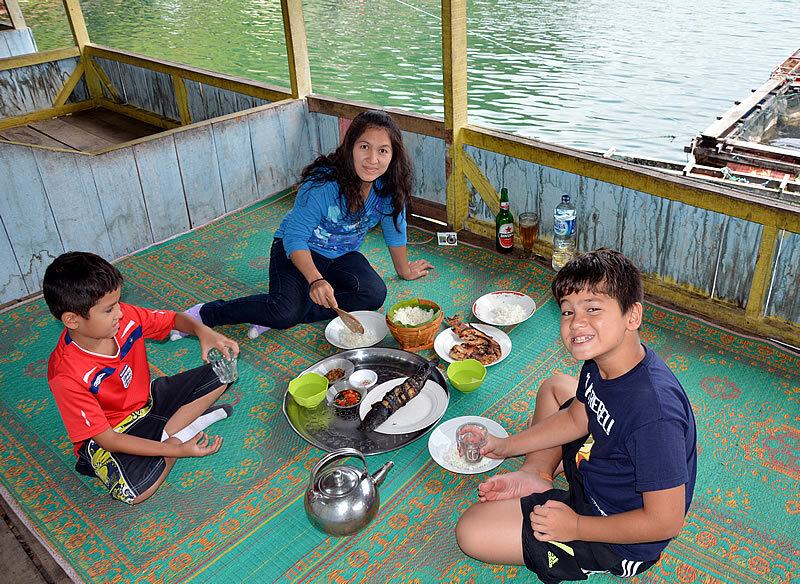 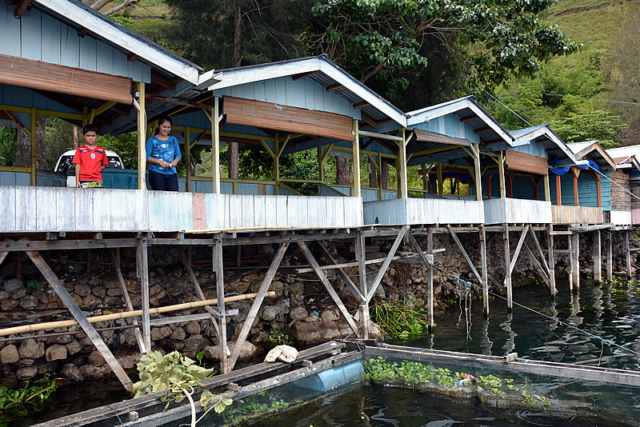 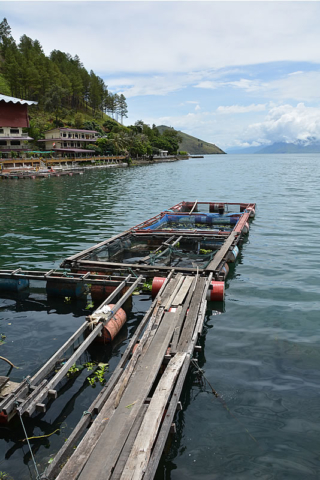 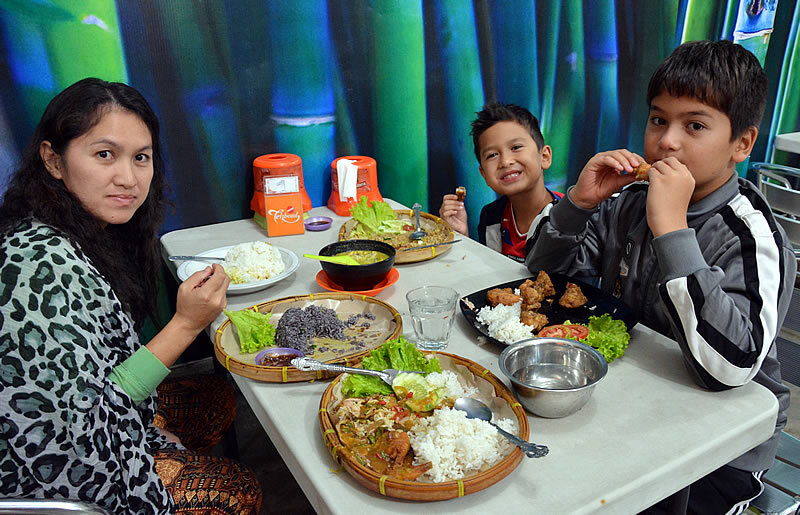 We stopped at a lake side restaurant and fish farm and had freshly barbequed Danau Toba fish.